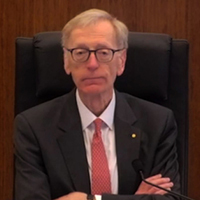 Only adjusting the twin peaks model for regulators as recommended by the final report from the royal commission will continue to cause confusion and sub-optimal outcomes for the industry and consumers, according to KPMG. Commissioner Kenneth Hayne had written that he did not favour the creation of a single superannuation watchdog, rather preferring the current model of two bodies and asking that each be tweaked to extend and clarify their roles. The auditor has said Mr Hayne’s recommendations will overcomplicate incidents and add to regulation costs. KPMG drew upon an example of a unit pricing error affecting superannuation fund members, in which the report proposes that ASIC will be responsible for the remediation of members (consistent with its consumer protection remit). APRA would be responsible for the testing the trustee’s policies, practices and the effectiveness of its control environment. “There is a risk that this approach will add further complexity and cost to the remediation of such issues,” the analysis from KPMG noted. “The reason is because both regulators will need to be involved in these incidents because of their different remits.